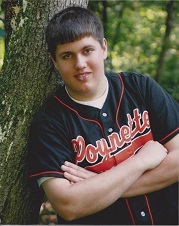 POYNETTE – Jonathan “Jon” Michael Koch, age 28, of Poynette, passed away unexpectedly on Thursday, June 7, 2018. Jonathan was born on August 14, 1989, in Willmar, Minnesota, the son of Theodore and Kristine (Tonsager) Koch. He graduated from Poynette High School in 2008 and received a bachelor’s degree in chemistry from the UW Whitewater in 2012. Jon loved snowmobiling, fishing, boating, darts, fantasy football and Frisbee golf. He enjoyed “hanging out” with his friends. He was a great Minnesota Vikings fan. He is survived by his family, Ted and Kris Koch, Jeffrey (Amy) Koch, Rachel (Rob) Mason, Paige, Savannah, Laine and Sawyer, all of Poynette; his maternal grandmother, Darlene Tonsager; many aunts, uncles, cousins and dear friends. He was preceded in death by his grandparents, Hubert and Alice Koch and Kenneth Tonsager, Sr.
Funeral services will be held at Dekorra Lutheran Church in Poynette, Wisconsin, on Tuesday, June 12, 2018, at 6:30 p.m., with Rev. Ryan Rouse officiating. Burial will be private. Visitation will be at the church from 4:00 p.m. until the time of service. In lieu of flowers, memorials may be made to Dekorra Lutheran Church, N3099 Smith Road, Poynette, WI 53955 or the Ronald McDonald House Charities, 2716 Marshall Ct, Madison, WI 53705. 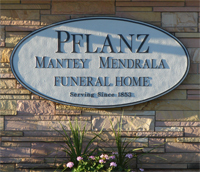 Pflanz Mantey Mendrala Funeral Home in Poynette is assisting the family.